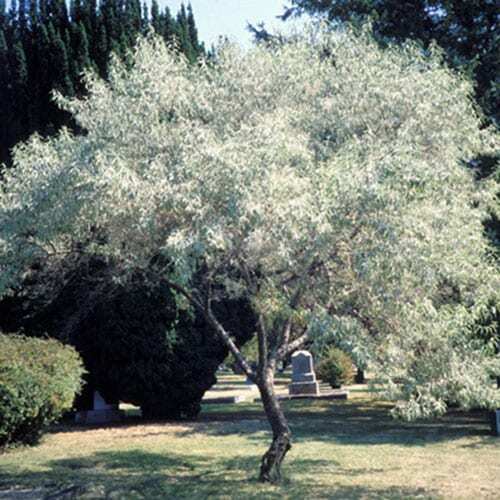 Russian-olive is a small, usually thorny shrub or small tree that can grow to 30 feet in height. Its stems, buds, and leaves have a dense covering of silvery to rusty scales. Leaves are egg or lance-shaped, smooth margined, and alternate along the stem. At three years of age, plants begin to flower and fruit. Highly aromatic, creamy yellow flowers appear in June and July and are later replaced by clusters of abundant silvery fruits.